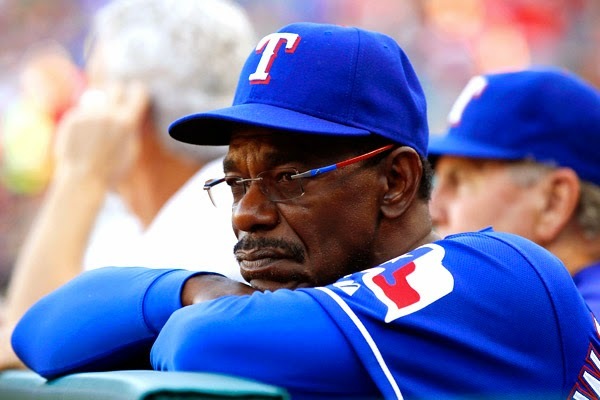 The following comes from an ESPN podcast with Buster Olney talking to Texas Rangers manager Ron Washington on how he has handled the team's injury situation. "It's about your attitude. It's about your commitment to each other. The effort parts happens through the other two...What happens today has nothing to do with what already has happened...We can control today. We can control our attitude today." "Yes, we’re disciplined with what we do. But that’s not enough. Relationships with people are what it’s all about. 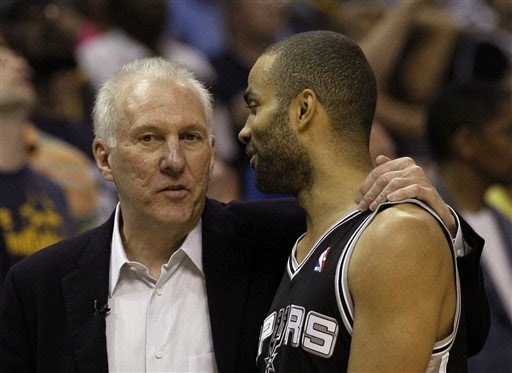 You have to make players realize you care about them. And they have to care about each other and be interested in each other. Then they start to feel a responsibility toward each other. Then they want to do for each other." so special to you -- don't let them go." WHAT ARE OTHERS DOING TO BEAT YOU? 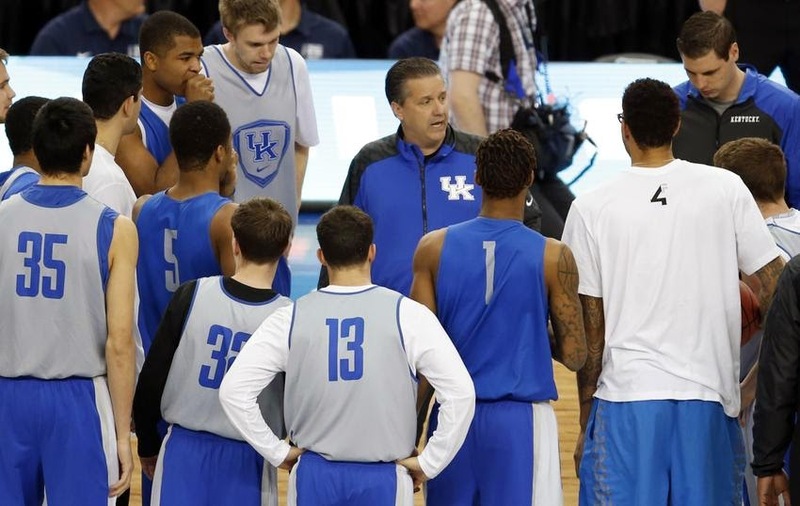 The mindset of improving your team is being able to step away and take a critical look at it. The following comes from Kentucky's John Calipari and his book "Players First: Coaching From Inside Out." "Thinking about how you would try to beat your own team goes with the job of being coach. You put yourself into the mind of another coach as he looks at film of your games. Where are we vulnerable? What defenses have we struggled against? At what speed don't we like to play?" This is also a great process to go through in the off-season. Take time and detail those games in which you struggled and look exactly at what areas you were deficient. Then put together clips, take extensive notes and create an action plan to improve that area for next season. 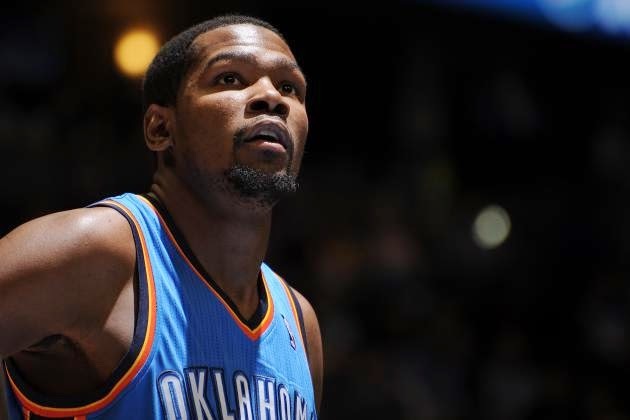 A quiet sort who maintains his cool at all times, Durant doesn’t have the demonstrative personality that locker-room captains so often feel entitled to take on. Durant doesn’t lecture teammates or get in their faces. He doesn’t have to. The humility comes from the sum of Durant’s experiences. Even at his young age, he has had his share. “One of the things that he has been able to do is travel, and that has enabled him to see things in a worldly sort of way,” says Rick Barnes, Durant’s head coach for one season at the University of Texas before Durant left for the NBA draft. “I don’t think, when he finishes playing, that Kevin is going to stay in the U.S. and try to help just one country, even though it is his country. He wants to make a difference. 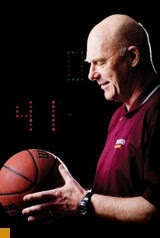 If you attended a Don Meyer Coaching Academy, some of the most valuable thoughts came away from the court when Coach would talk about anything from finances to time management to raising your family. During this time, he would always talk about the value of keeping a journal. He would talk of it's importance, always saying: "You're not keeping a diary. Don't write down what you did. Write down what you learned." The concept of a journal had never been explained to me in those terms and I purchased my first one in Nashville before I left town. I have kept one every since -- I'm on my eighth one now (shown in the photo with my Coach Meyer bobblehead). Not only does writing something down commit it more strongly to memory but helps provoke thought. I sometimes go through my old journals to review lessons learned. It is often a great form of therapy. Michael Hyatt, whom by the way is a must follow on twitter, recently gave seven benefits to journaling. 1. Process previous events. What happens to me is not as important as the meaning I assign to what happens to me. Journaling helps me sort through my experience and be intentional about my interpretation. 2. Clarify my thinking. Writing in general helps me disentangle my thoughts. Journaling takes it to a new level. Because I am not performing in front of a “live audience,” so to speak, I can really wrestle through the issues. 3. Understand the context. Life is often happening so quickly I usually have little time to stop and reflect on where I am in the Bigger Story. Journaling helps me to discern the difference between the forest and the trees. 4. Notice my feelings. I understand feelings aren’t everything, but they also aren’t nothing. The older I get, the more I try to pay attention to them. They are often an early indicator of something brewing. 5. Connect with my heart. I’m not sure I can really explain this one, but journaling has helped me monitor the condition of my heart. Solomon said “above all else” we are to guard it (see Proverbs 4:23). It’s hard to do that when you lose touch with it. 6. Record significant lessons. I’m a better student when I am taking notes. Writing things down leads to even deeper understanding and, I hope, wisdom. I want to write down what I learn, so I don’t have to re-learn it later. 7. Ask important questions. A journal is not merely a repository for the lessons I am learning but also the questions I’m asking. If there’s one thing I have discovered, it’s the quality of my questions determine the quality of my answers. Hyatt's seven reasons were part of a blog post on journaling that you can read in its entirety here. The best coaches, the ones that truly care about their student-athletes, leave imprints that last a long time -- sometimes an eternity. Here is an excerpt of an article from Standard Examiner written by Roy Burton (you can read it in it's entirety here) about how an assistant coach impacted a young player and that impact continued to the NBA. 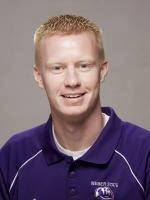 Wildcats assistant coach Phil Beckner knew it was coming: “Was waiting for that,” he responded. Lillard and Beckner spent countless hours running through drills together at the Dee Events Center during Lillard’s college career. 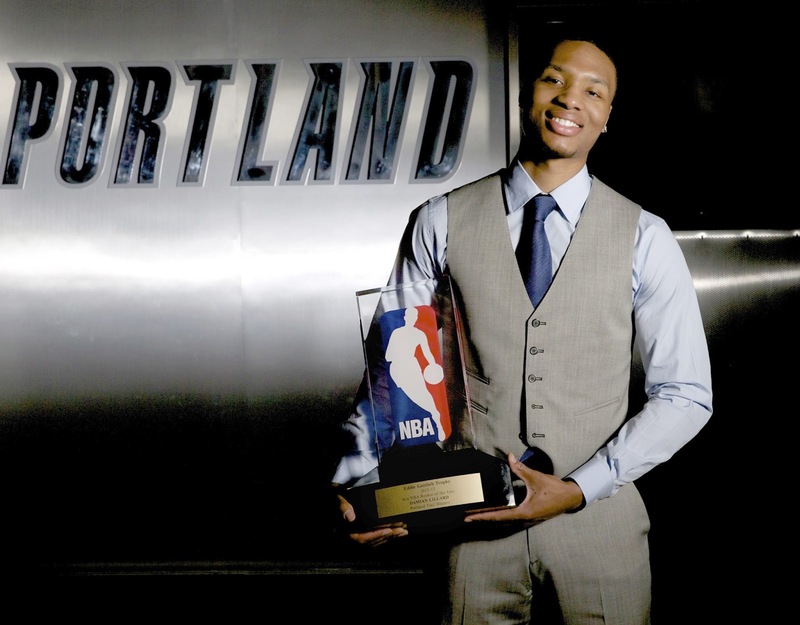 For Lillard, that meant listening to countless hours of the Quote Machine. Beckner has been collecting quotes since his high school playing days, hoarding them as much as you can hoard something you give away at the drop of a hat -- even to the point of irritating the recipient. Sometimes quotes are just words, but sometimes they light a fire inside a player. During his final season at Weber State, Lillard was worn out. He was scheduled to shoot with Beckner after practice as always, but he was tired and wanted to rest for the next day’s game. “I’d always talk to him about the pain of discipline or the pain of regret -- the pain of regret hurts so much more. You don’t want to live your life with the pain of regret,” Beckner said. Angry, Beckner left Lillard and walked all the way up the stairs at the Dee Events Center, then turned around and walked all the way back down. Those of us close to Coach knew this day was coming. We knew it was coming sooner than any of us wanted it to. Each time I saw Coach it was noticeable in his weight loss and in his energy. But like one of his heroes John Wooden, he remained mentally sharp, sharing his knowledge with as many as he could. 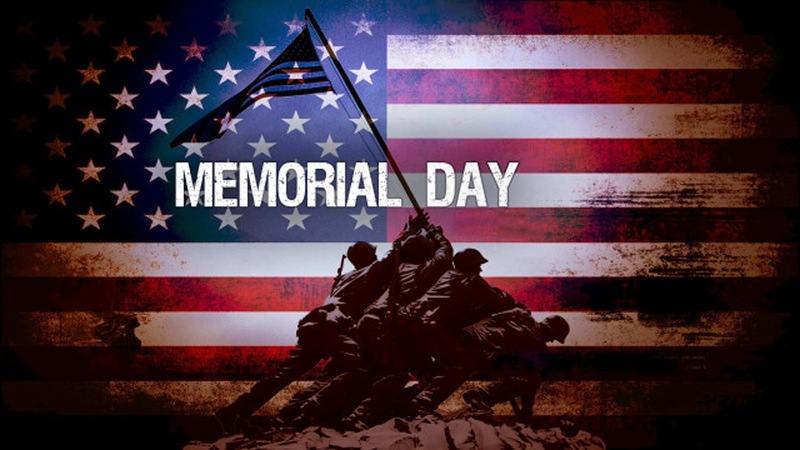 Still the preparation of this day arriving has not made it any easier to accept. 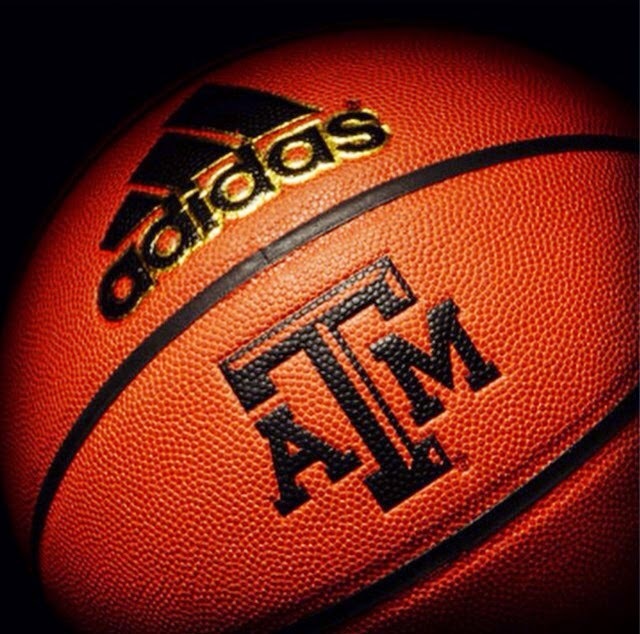 I will argue strongly and vehemently that no coach has impacted the game more than Don Meyer. Thousands upon thousands of girls and boys attended his camps – simply one of the best teaching camps in the nation. Thousands upon thousands of coaches attended his free clinics in the fall, his Coaching Academy in the summer or packed gyms, hotel ballrooms and churches to hear his words of wisdom on coaching, teaching and life. He made an amazing impact on youth leagues, junior high and high school, college and NBA coaches and players. He impacted the men’s game and the women’s game. More importantly he impacted everyone he came in touch with. But today I am hurting because I’ve lost a friend and a mentor. I could write a book about all that he has taught me. His advice has guided me throughout my career. My relationship with Coach dates back nearly 25 years ago and he has been a big part of my life since. When I had to take over as interim head coach at LSU he literally called me every day, sometimes twice to offer me advice and support or to just be a sounding board. Our run lasted three weeks with an appearance in the Final Four and he never missed a day calling me. I have never made a career decision without first discussing it with Coach and he never steered me wrong. Coach always made an impression when he came to visit. He would be quick with his sarcasm to me but would charm my wife, Sherie, right out of her shoes. My wife simply adores him. This past summer when Coach and his wife Carmen came to stay at our home, we were joined by Greg Brown. As I always do when Coach comes to visit, I have him talk to our team. The messages he gives are incredible and stays with our student-athletes for a lifetime. One night, around 11 PM, myself, Greg and Carmen tired and went to bed while he and Sherie watched some Perry Mason reruns. A little after midnight they decided to call it a night and Coach asked Sherie if she’d mind if they prayed together before turning in. My wife is a cancer survivor and Coach asked God to look over her and keep her in good health. When she came to bed she woke me to tell me the story – she was deeply moved that Coach had thought of her like that when he too was battling cancer. But that’s Coach – always thinking of us. There are far too many memories to share in this post and I’m a bit too emotional right now to go any further only to say that I love Coach Meyer and he will forever be a part of my life. That you did Coach, that you did! Nobody, and I mean nobody has done that better in our profession than you Coach! As good a video piece on Coach Meyer as I have seen. It captures him as I know him. While at LSU, we had a young lady named Tillie Willis. She was a great teammate that was actually a starter. She was unselfish and did whatever the team needed her to do to win. She was a starter for us in the post and if she had one fault, it was that she didn't believe in her gifts and skills as much as the rest of us. I had been reading about the power of positive affirmations and gathered our team up individually and in small groups and told them over the next week or so, I wanted them to go out of their way to compliment Tillie and point out what she meant to our team. While most of it was verbal, some wrote notes and left them in her locker or even in her shoes. The result was her turning in a double-double effort. When she was asked what had gotten into her, she responded "My teammates." Of course even more important is personal affirmations -- self-talk. What messages are you sending yourself? What type of fuel are you putting into your own engine. · Attitude is the key source for peak performance. 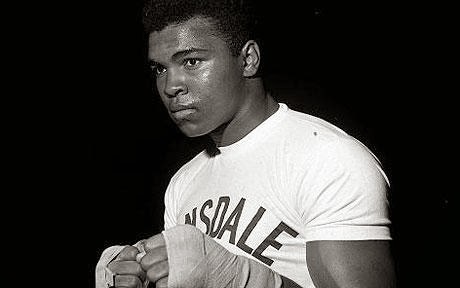 Develop a list of power phrases or positive affirmations to ignite your inner champion. Make sure each statement is meaningful so it really speaks to you. Then write your statements down on index cards and read them for a mental boost as needed. The more often you repeat your power phrases with meaning and conviction, the more concrete they will become in your mind and allow you to manifest change in your life. · “As a single footstep will not make a path on the earth, so a single thought will not make a pathway in the mind. To make a deep physical path, we walk again and again. To make a deep mental path, we must think over and over the kind of thoughts we wish to dominate our lives,” wrote author and philosopher Henry David Thoreau. o I think, feel, and perform as a champion. o The next play will be my best play. o I play with purpose and passion. o I quickly forget mistakes because all athletes make them. o I have the courage to face and overcome my fears. o I am the player who is the best prepared. o I will go through fire to accomplish my goals. o I strive to be my best in all conceivable ways. o I bring it every day. o I start strong and finish stronger. It is always amazing to me how the most difficult of times bring forth the greatest of opportunities to lead. Great leaders embrace those moments and make life-altering decisions. Great leaders also know the extent of their team can often extend beyond their immediate group. 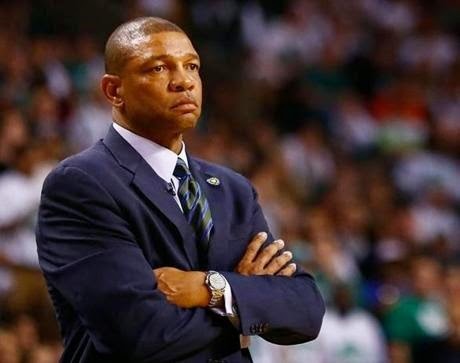 Such was the case with Doc Rivers and the entire Los Angeles Clipper organization -- not just coaches and players. Doc Rivers spent the morning before his first Game 7 with the Clippers meeting with marketing, finance and ticketing instead of guards, forwards and centers. The coach addressed offensive statements rather than offensive execution. He spoke in a conference room as opposed to a practice court. For about an hour Friday, a decisive game in a first-round playoff series against the Golden State Warriors was nudged aside in favor of a more formidable adversary. Derogatory statements about blacks attributed to team owner Donald Sterling continued to seep into every corner of the franchise, three days after NBA Commissioner Adam Silver had banned Sterling for life and instructed other owners to oust the 80-year-old from the league. Staffers who worked out of the Clippers' Staples Center offices had seen Rivers and his players express outrage over their owner's remarks. But who spoke for them? And did anyone care that they had been the ones primarily handling the public backlash, fielding calls and emails from irate fans who branded them sellouts, racists and Uncle Toms, not to mention a slew of unprintable descriptors? "Employees felt like they did not have a voice," said Raymond Ortegaso, the team's director of human resources, "and were being attached to the comments that were being made by Sterling." And so at 10 a.m., after making the drive from his office in Playa Vista to downtown L.A., Rivers stood before a group of about 70 staffers inside Staples Center and delivered a simple but meaningful message: hang in there. "Ticket people, marketing people, they're sitting there crying, and I felt so bad for them," Rivers said. "I was thinking, my gosh, we've been in this thing and as coaches you forget that these are the people that are on the front line and they work for the organization too and you just felt so bad for them." Baker said a few community groups had backed out of their relationships with the Clippers as a result of Sterling's comments, with some remaining estranged even after the owner was removed from day-to-day operations of the franchise. "It meant a lot to have Doc come down here and say, 'I'm sorry you guys are hurting,'" said broadcast manager Jessica Bojorquez. Said Baker: "It made me feel a lot better knowing someone of his stature cared about us." Rivers also cared about beating the Warriors, though film study suddenly didn't seem as important as a lesson in sociology. "You're sitting there and you're thinking, you know, before Game 7 I should be sitting in the office," Rivers said. "But what I did [Friday] for me was far more important than this stuff because they need it, they really do. Like, they need it even more than our players right now. They need somebody." Thanks to Rivers, they have their man. The following is an excerpt of a story on the Clippers Blake Griffin that was written by Robert Morales of the Long Beach Telegraph. 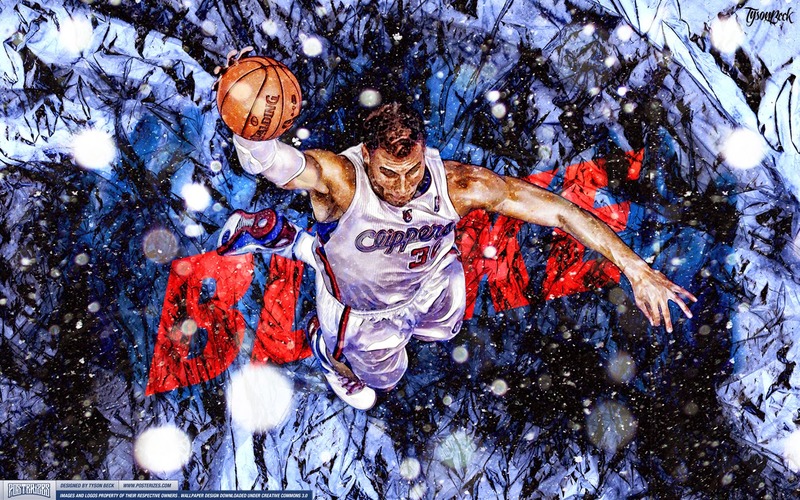 The story speaks to how Griffin has not only heard about the work ethic of the great players before him but has used it to model his own work ethic. “I’ve heard millions of Kobe (Bryant) stories about late-night workouts,” said Griffin, whose team takes on Detroit on Saturday at 7:30 p.m. at Staples Center. “One I heard, one time I guess he was in Italy and called Marco Belinelli (of the Spurs) at like 1, 2 o’clock in the morning and asked him if he had a gym for him, and so Marco found him one and he went there to shoot with him. Griffin hangs his hat on that credo.